On the contrary of building a personal branding, when you venture out into business or any enterprise, you want your product and service to gain as much attention as possible. You want your business to have longevity and purpose. You would want your business to outlive you, so that when you are not active for one reason or another, the enterprise still stays strong and measures up to expectations. Anyone involved in business, music, athletics and so on would want to be identified by what they do rather than having the attention centered on the individuals themselves. You will also want your business to have a distinction from other businesses which may be offering the same products or services. To make this distinction, you have to create a brand, you have to brand yourself. Basically a brand is a feature, like a name, a tag line, a term, a logo design or a symbol that is used by a businessperson to make their enterprise distinct and different from others. A brand is the personality that distinguishes your business from others. As you know, your personality is what makes people judge you and make assessment of who you are, your personality builds your character, it makes people identify you. The same applies to when you brand your business, it gives your company a character. That makes it easier for people to engage in your services and really buy into what you are selling them. An example of a brand is the half-eaten apple by Apple, it distinguishes it from other electronic manufacturers. Huge companies like Coca-Cola, Mc Donald’s and Samsung have been highly successful because they know how to utilize the concept of branding. They use their brands to endear themselves to their customers. In the corporate world, a brand is seen as an intangible asset to your business, it is a long term investment for your business. And depending on how you well make your brand, it will reap maximum benefits for you. A brand is actually associated with the values of the business that you are doing. If you venture out into business and your target audience clicks with your brand, you will have created a valuable brand experience with your market. If your products or services are impressive, then your brand gets to have a good reputation that will outlive the owner or creator. Personal branding can be looked at as the reputation that an individual builds over time by the way they do their business. In personal branding people recognize you by your mane and they care about your name and the values that you espouse. Some of the questions involved when people hear your name could be, what does your name represent? What ideas to people have when they hear you name? Are you reliable and trustworthy? Are you efficient? So a lot goes into making your personal brand. You have to have ideals and values that can support your reputation and standing in the market. A personal brand tells us who you are, what you do and what makes you diferent. A personal brand creates an influence around you that is able to influence others, it builds perceptions about you and what makes you valuable. Personal branding tells us how different, authentic and superior you are to others in the same market. Be yourself and show your value. Personal branding can be looked at as a covenant that you make with your customers, it is a promise that you make that you are able to deliver and when you meet peopleís expectations, you create brand loyalty to your products and services. It markets your performance, character, values, distinction and abilities. People like Michael Jordan and Madonna have create strong personal brands by their performances in sports and music respectively. They are known for their prowess and capabilities in their fields. They are distinguished by the great peaks they achieved in their careers. A personal image is not the same as a personal brand. A personal image is how people identify you, while a personal brand is how people perceive you. The benefits of having a strong personal brand are securing clients, enhances prestige in your brand, it adds value to your brand, you will get recognition, you will be associated with a trend and this positions you distinctly, you will be entrusted with leadership positions, whatever you are offering will have credibility, you will have constant business and you will draw profitable earnings. When building a personal brand you have to have clearly defined goals, know your target audience, have a unique serving point and have a visual identity. The evolution of individual branding goes way back. People named their businesses after themselves and stood behind the quality of their work. In the past, personal branding was just how well you did business, the quality of what you were offering, there were no social network, there was no pomp and color to differentiate brands, it was that simple. Businesses depended on a strong personality to push their agenda. Back in the days emphasis was placed on personal appearance, communication skills and behaviour. That was before the information age set in. Right now, personal appearance is not enough because everyone has their own trends to observe. In this day and age you should know how to brand yourself. There are several strategies on how to build a brand. To brand yourself. Pour money into your personal brand. Dedicate your time to building and strengthening your brand. You want your brand to go beyond your lifespan. Brands are not built for the moment, they are built for a lifetime. Make sure you invest wisely into your brand. As aforementioned, a brand is an intangible asset. Invest in it and people will care about it and help you establish it. Communication plays a key role on promoting yourself and branding yourself. Networking plays a key role in personal branding. You should gain as many contacts as possible, you should strive to meet as many new people as possible and push your brand. For your brand to grow you must build diversity by having different people experience your brand. Know people, know places and your personal brand will be grow far and beyond. Technology has made it easy to network but you must not ignore also tangible and tactile means of networking. Form new relationships will make you connect with people and they will respond in kind. Being visible is a no-brainer. People have to see you and know who you are. People tend to associate themselves closely with people they have seen. If you have something to offer put it up on platforms like YouTube, if you are if you are using social media platforms, let people see you online, have good pictures of yourself and have picture shots on how and where your business has been, have a presence online, let people know your itinerary, let people see the events which you are organizing and invite them to come so that they can have a one on one experience with you. Your brandís visibility will make people comfortable when dealing with you. Building yourself is hard work that is not in doubt. You have to keep tabs on the latest trends and emerging markets for you to accomplish your brand and that is interwoven with making your personal brand unique. Having a positive appeal will build your reputation and establish your name for generations. This appeal is brought about by how you will present yourself out there. It is advisable to avoid controversy or cheap publicity, this can hurt your image. Dress well and talk eloquently, these are the most basic principles of individual branding. Also, image is built by how well your services and products serve the public. Having an exceptional product will enhance your image and give it appeal. People will buy more and more because your personal brand will have the image of excellence. Along with this, strive to be different, there are so many beverage companies in the world but something makes Coca Cola, the most popular and successful. Find that niche, find that quality that does not exist in your competitors, get out of your comfort zone if you want your brand to succeed and weave it into your personal brand. Let people feel different when they invest in your brand. Back your personal brand with action. The most effective way of branding yourself is by actually getting it done. You have to have an impact in the market. It is really a waste of time and resources if you have invested in your band and them it does not deliver. Let your contribution be felt, let people talk about it. If it is a product let it be known that it delivers, if it is a service let it be known for its efficiency. You have to appear to be moving and progressing in the right direction. If you can back up what your brand is portraying then you will succeed and your reputation and trustworthiness will be boosted. Familiarity breeds contempt. You have to keep on polishing up your image, you have to keep on re-inventing yourself. Do not let yourself be stale. Staleness is not good for your personal brand. Inject new ideas and concepts into the market. Study contemporary practices, emerging trends and be updated daily on what is catching fire in the market and you either adapt or create a unique niche but one that is relevant to present audiences. Get into as many social platforms as possible to know what influences different target markets and how your target audience is evolving. You achieve successful personal trust by being reliable. Deliver on time. Do as you say and honour your promises. Be honest to your clients, if you are truthful and straightforward they can build a steady trust in you. Admit if things are not going well. Be open and do not hide information. 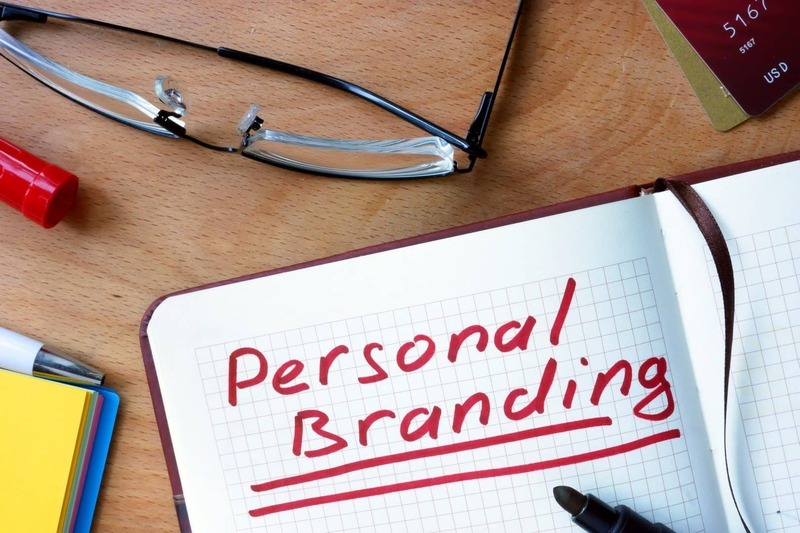 Your personal brand will do well when as much information about it is divulged as possible. Branding is not as easy as it sounds, to create a sustainable personal brand, you have to roll up your sleeves and work hard at it. Remember that the world is fiercely competitive and people are looking for what that unique brand that delivers and makes a difference in their lives. Good luck as you venture out in branding yourself.